“What kind of role does Foshan play in the Guangdong-Hong Kong-Macao Greater Bay Area?” “What advantages do Foshan have to attract foreign enterprises?” “How does Foshan build national manufacturing industry innovation center?” Journalists from more than 50 international mainstream media such as Zweites Deutsches Fernsehen (ZDF), Neue Zürcher Zeitung (NZZ News), North Korea Daily, Korea Economic Daily, Polska Agencja Prasowa (PAP) and so on raised questions about intelligent manufacturing, business environment, Belt & Road Initiative and Guangdong-Hong Kong-Macao Greater Bay Area to Cai Jiahua, standing member of CPC Foshan Municipal Committee and deputy mayor. 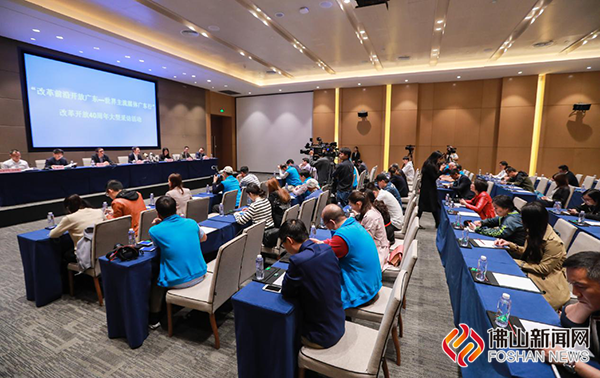 This is the scene of a large-scale interview “Reform Forefront, Open Guangdong——World's Mainstream Media Visit Guangdong” on the 40th anniversary of the reform and opening-up, which was held in Foshan Sino-European Center on November 28. 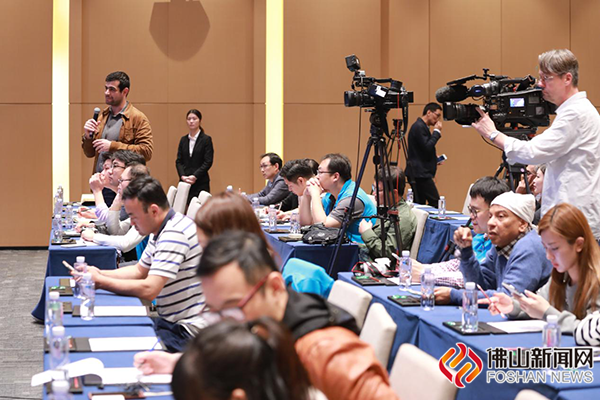 From November 26 to 28, journalists from all over the world visited Nanhai GDXL Precise Machinery, Guangdong-Hong Kong-Macao Science and Technology Exhibition Center, Foshan High-tech Zone, FAW-Volkswagen Automobile South China Manufacturing Center, Guangdong Industrial Design City, etc. and exchanged with entrepreneurs, learning about Foshan's achievements in high-end equipment manufacturing, optoelectronic industry and new material industry, and experiencing changes brought by reform and opening up to Foshan. "Foshan manufacturing is not only a representative of Guangdong manufacturing, but also a representative of Chinese manufacturing. The focus of media home and abroad is how Foshan manufacturing is going to move towards high end and achieve new development. Xu Yanqiong, assistant editor-in-chief of Hong Kong Commercial Daily, described the intention of selecting Foshan for the interview. She said that China has created many miracles in 40 years of reform and opening up. Coming to Foshan was to explore the stories behind these miracles. Cai Jiahua introduced that in the next stage, Foshan will give full play to the comparative advantages of manufacturing industry, complement the development of other sister cities, adhere to the footstone of manufacturing industry, build a modern industrial system with international competitiveness, speed up the construction of Guangzhou-Foshan integration, and work together to build an important polar core of Guangdong-Hong Kong-Macao Greater Bay Area. "I hope that you can promote Foshan and give valuable suggestions for its innovation and development. Foshan is an open city, always welcoming friends from all over the world! "